Are you an Aucklander and did the ground move for you this evening? If the bangs were caused by the military they’re keeping quiet about it. 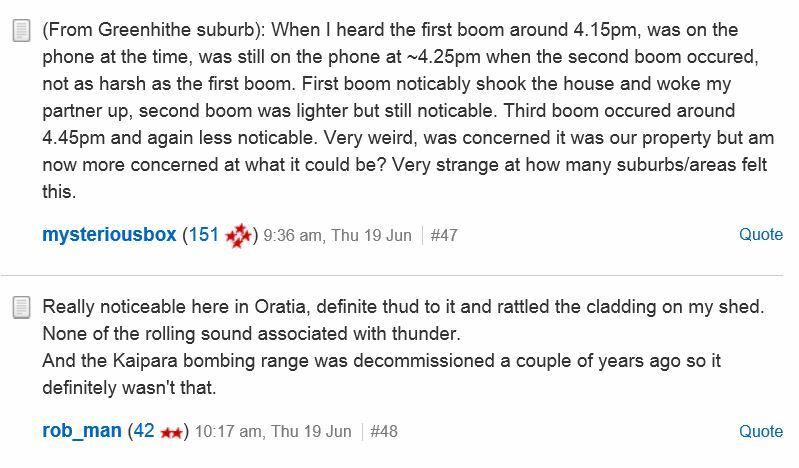 “Defence Force explosive training was behind a series of booms that echoed around Auckland, the Defence Force says. “Number 5 Squadron was on the range yesterday afternoon conducting trials for the P3K Orion. “Normally the sound is confined to a 10-15km radius. However, it appears a prevailing westerly wind coupled with low cloud cover have amplified the sound from the explosions,” the spokeswoman said. The range is a gazetted high explosive range, where supervised explosive training is carried out regularly. source. The range is at the top end of Muriwai Beach, north west of Auckland and on the opposite side of the country to where the explosions were heard in Whangaparoa, Greenhithe and east Auckland. 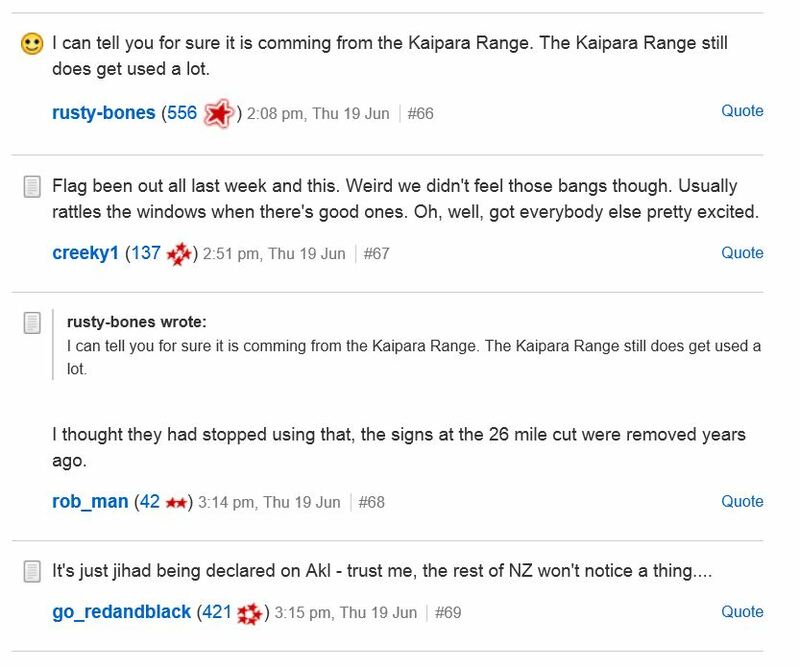 However, there were few reports from locals in the Kaipara area complaining about the bangs. Apparently, the NZDF has dropped 500t bombs in the area in the past. so maybe they’re used to it. This is what people were saying on Facebook and Trade me. At least these tourists had the sense to see New Zealand for what it was rather than allow themselves to have “their faith in New Zealand” restored after an outpour of “community rallying together”. I apologise for its lack of relevance, but this graph from BBC might be useful in showing how poorly New Zealand wages rank internationally in terms of Purchasing Power Parity. Felt it here in Little manly! heard it too. what the heck was it! !